Join the SuperJeweler.com Affiliate Program today to partner with one of the Web’s fastest growing jewelry retailers and increase your earnings potential! At SuperJeweler.com, we exceed the expectations of our customers. We provide Free Shipping Worldwide, a Lifetime Guarantee, and 60 Day No-Hassle Returns to ensure a positive shopping experience for your site visitors, resulting in an extremely satisfied loyal customer base. We encourage you to read their comments. 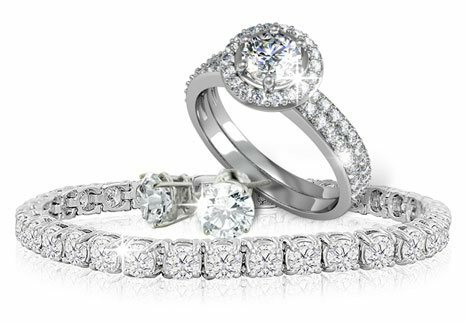 While economic fluctuations have led many jewelers to post significantly decreased revenues, and even losses, SuperJeweler.com has maintained strong and steady growth year-over-year. We also have the highest conversion rates in the industry, with an average of over 5%. This is almost unheard of for any jewelry retailer. We accomplish this through a steadfast commitment to customer satisfaction, competitive prices, and very aggressive marketing practices. At SuperJeweler.com, we know that much of our success has grown from the dedicated effort we put into growing our affiliate program. We do this through constant support and contact with our affiliates. Join us today, and let's do something super!